Printer reviews play an essential role in every printer buyer’s decision-making. Various printers may seem quite similar at first glance without the close evaluation of printer experts and actual consumers. Also, since printer specs mostly seem like gibberish to a lot of consumers, a good printer review allow them a glimpse of what the printer is in easy-to-understand terms. Also, printer reviews offer recommendations of which printers are best for specific consumer needs and preferences. But just as there are so many printers around, there are also so many reviews around, so it could also be quite confusing to read various reviews. To help you out, here are some of the printers that are now causing a stir in the market lately. This is a quick look at the top printers in various categories. Do look further into the site for more specific info. The all-in-one printer market is quite crowded; there are just too many products out there. But one of the best new entrants in the market is HP’s OfficeJet Pro L7590, an all-in-one printer that provides all that you expect from a regular multifunction printer and tops it all off with excellent outputs and fast speeds. The printer offers print, scan, copy, and fax capabilities, has an ADF, and can connect to a workgroup via Ethernet. The print quality is impressive for text, though there is a bit of a difference when it comes to color printing. But if you need a basic printer for your home office or small workgroup, this is definitely a top choice. And another reason to buy this printer for your multifunction needs? It was named as the Editor’s Choice winner by PCMag.com. If you are looking for a color laser printer for your small office but is within an entry-level budget, you should definitely go for the Samsung CLP-300N. This very attractive and compact printer is a great addition to your office. It is small and powerful, and is also priced just right. The printer can print laser copies fast and has USB connectivity, easy installation, and a powerful engine, all in a very compact-sized machine. Print quality is better than what you would normally expect from a printer in this price range, and printer quality is reliable, seeing as it is, after all, a Samsung. Graphics is also impressively vibrant given the price range. In sum, this is one color laser printer you should check out. When it comes to color and photo printing, however, the Canon Pixma MP610 is definitely a printer you can trust to give brilliant justice to your prints. 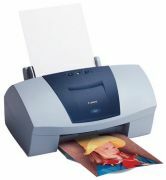 This excellent printer is one of the best inkjet photo printers around. It has a print resolution of 2400x9600 dpi and can print up to 24 pages per minute in color and 31 pages per minute in monochrome. It comes with a copier and a scanner for optimized functionality in the office. But this is more than just an office printer. A printer with great color printing quality as this should be printing photos, and almost all printer reviews agree that this is definitely one top product. If you are in the market for a powerful printer for a medium-sized office, the new Brother MFC-6490CW printer is yet another product that printer reviews just rave about. The printer is part of Brother’s new Professional series and has been named as PCMag’s Editor’s Choice as well. The printer is rich in features and can scan, print, and fax. This network printer can also handle heavy printing needs of a network. It also has a scan to e-mail feature, as well as an ADF, Ethernet connectivity, and support for wireless network connection. Best of all, the printer can print tabloid-sized documents for your large printing needs. Printer reviews on the top products in the market can help you land a good deal and get the printer you need. So make sure that before you make a decision, get a good look at the reviews first. Reviews are very objective commentaries that will help you see both the good and bad sides of the products you are considering, so this will really help you find your ultimate printing companion.